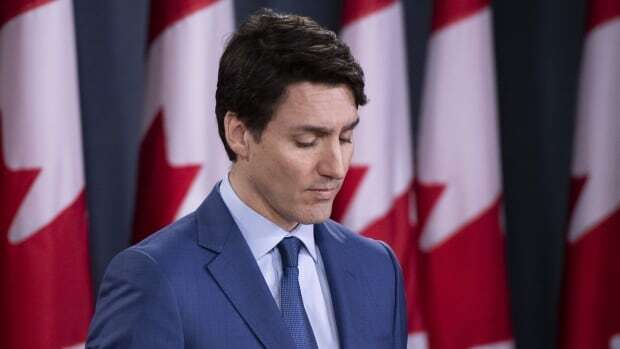 Prime Minister Justin Trudeau says an “erosion of trust” between his former top adviser and Jody Wilson-Raybould led to the controversy over the SNC-Lavalin file. At a news conference Thursday in Ottawa, Trudeau said he tasked his staff members to engage Wilson-Raybould on the file while she was justice minister to stress the potential impact of her decision. He said an erosion of trust developed between his then principal secretary, Gerry Butts, and Wilson-Raybould. “I was not aware of that erosion of trust, and as prime minister and leader of the ministry, I should have been,” he said. Trudeau said he has asked for a set of external set of opinions on the dual role of the justice minister and attorney general, as well as the operating policies for cabinet ministers and staff related to dealings on judicial matters. “Ultimately, I believe our government will be stronger for having dealt with these issues,” he said. Trudeau confirmed Wilson-Raybould told him of her decision not to intervene and order a remediation agreement as an alternative to criminal prosecution on Sept. 17, 2018, but he asked her to revisit that decision and she said she would. Officials reached out to her in the subsequent months because he considered her to still be “open” on the issue. Trudeau said Wilson-Raybould never told him she believed those contacts were inappropriate pressure. “She did not come to me, and I wish she had,” he said. His statement comes a day after Butts testified before the Commons justice committee. Butts blamed the crisis engulfing the Liberal government on a breakdown in trust and communications that led to the resignations of two top cabinet ministers. Wilson-Raybould and Jane Philpott, who stepped down as Treasury Board president in the wake of Wilson-Raybould’s resignation as Veterans Affairs minister, remain in the Liberal caucus. Wilson-Raybould was made Veterans Affairs minister during a cabinet shuffle in January. Butts presented a starkly different version of events than Wilson-Raybould, also attorney general at the time she was dealing with the SNC-Lavalin file. Wilson-Raybould said she endured intense political pressure and veiled threats to overturn the director of public prosecution’s decision to proceed with criminal prosecution of SNC-Lavalin. CBC News reported that Trudeau huddled up for high-level discussions Tuesday to determine next steps in the ongoing SNC-Lavalin controversy.